The tour starts from Naples (other pick up locations available on request), we take the scenic coastal drive to Sorrento and stop to visit the town for about 40 minutes. 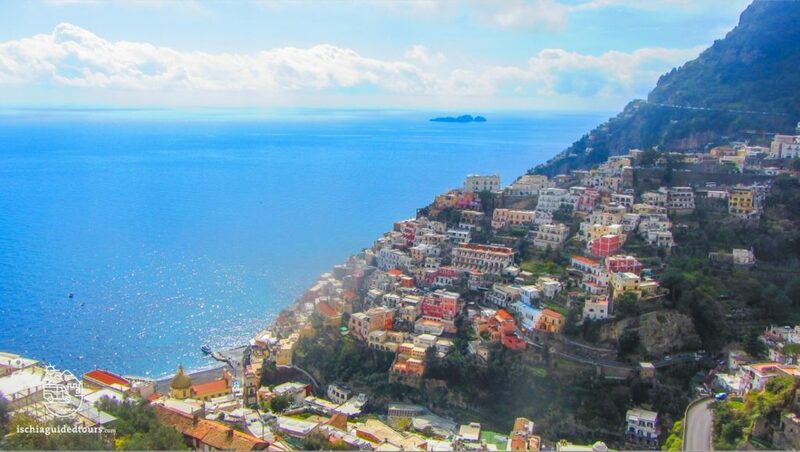 After visiting Sorrento we take the Amalfi Coast road to reach Positano for a 40 minute stop. We then drive towards Amalfi and on the way we stop several times to enjoy the stunning landscapes of the Amalfi Coast and to take pictures; on request it is possible to stop in Conca dei Marini to visit the “Grotta dello Smeraldo” (the Emerald grotto), a cave on the coast filled with sea water of a spectacular green shade. From Conca dei Marini we reach the town of Amalfi to visit the centre and Saint Andrew’s cathedral. After lunch in Amalfi we drive inland, away from the coast, to reach Ravello and visit the famous Villa Rufolo with its gardens. From Ravello we take the motorway and return to Naples in the late afternoon. The price of the tour includes taxi, driver and English speaking licensed guide on board. The itinerary of the tour may change due to unforseen factors such as weather or traffic. The price of the tour doesn’t include lunch, drinks or entrance fees where applicable. Official tour guides are the only people authorized by the Italian government who are allowed to run tours legally after passing the regional exam and are then licensed as professional tour guides.